Tracking numbers? So passe! What if an ornament could notify you of your parcel delivery status? United States Postal Service has created just that—a Christmas tree decoration that provides live tracking updates called “The Most Wonderful Ornament.” When a package is in the delivery process, the device glows blue and then switches to red upon arriving in the mailbox. 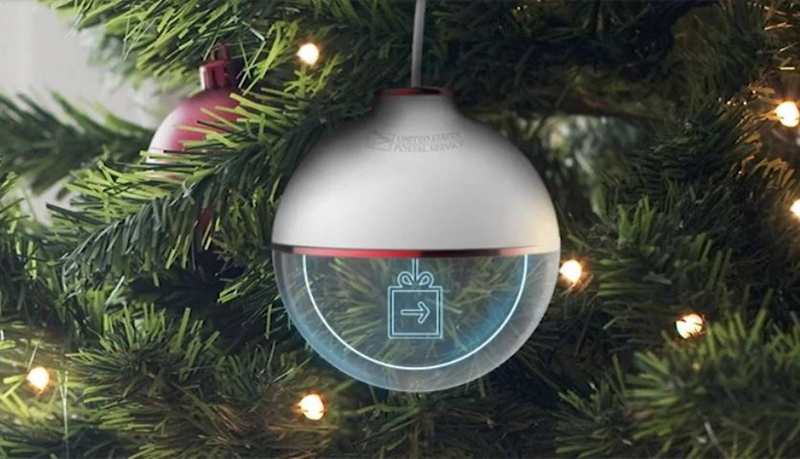 By communicating with sensors in sealed packages, not only does the ornament know where a package is in reference to its route, but it can also decipher if it’s been opened, switching to a radiant green, perfect for the holiday season. While USPS is still in the product testing phase, the team is developing a wider spread release for future holiday seasons.